I feel like Benefit new releases are always the most talked about in the blogosphere... Their marketing team always do the most amazing job at getting everyone involved and excited about their upcoming products to the point where we're all literally counting down the seconds until the announcement of their next release. Needless to say, their 'out of this world' launch was something that I, and many other bloggers and beauty lovers alike, were really intrigued about. With the whole space theme, I was with the majority of people, guessing that the new product would be a highlighter... Something holographic or sparkly, but we were all wrong, it was another mascara; Bad Gal Bang! So, why another mascara I hear you ask... Well, yeah I have to admit that was my first thought too. Benefit are undoubtedly at the top of the game when it comes to mascara, but already having so many options available, did they really need to release another? Bad Gal Bang! is different from the rest in terms of the wand, and the volume it creates. If you're wanting the false lash effect with added length, go for They're Real. If you want natural looking lashes with separation and curl, go for Rollerlash. If you want amazing lift and volume, that's when you need Bad Gal Bang! Bad Gal Bang! has taken four years to make, to give gravity defying, volume from root to tip. The scientists who helped to create and develop the mascara have used space technology and aeroparticles which are the lightest material known to man... This is the magic which gives the lashes more volume and longer lasting power and what truly makes Bad Gal Bang! out of this world and how the whole space theme of the launch and packaging was inspired. The formula of the mascara is made with a jet black pigment which instantly adds drama, defines and opens up the eyes. 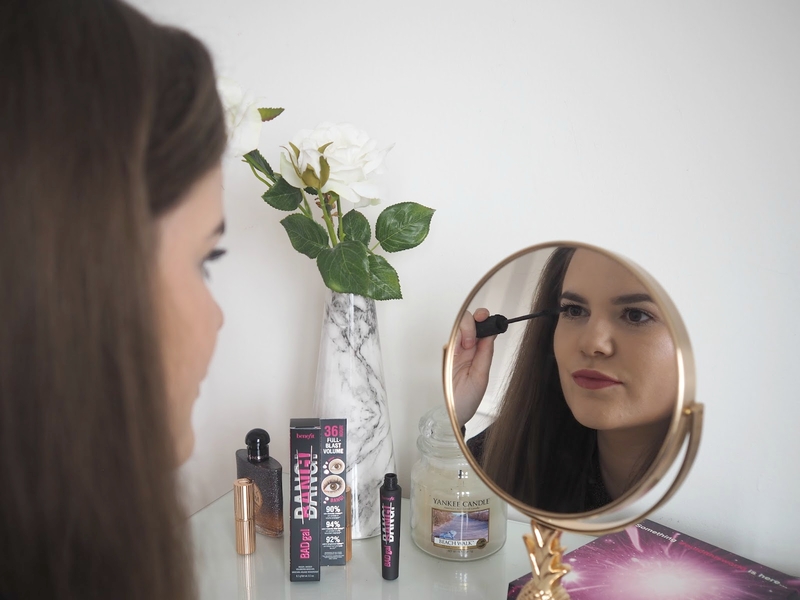 The mascara wand applies the product so close to the lash line, that it gives the effect of an eyeliner and it applies so easily to the top and bottom lashes, gliding on with no smudging and very little effort. It contains ProVitamin B5 which conditions the lashes as you wear it, and is water resistant rather than waterproof, meaning it doesn't flake or dry out the lashes like most waterproof mascaras do. It took over 75 wand designs being trailed before the final design was completed... The final design is a cone shaped wand, universal in shape and size, meaning that it will work well for all eye shapes. With over 300 bristles on each wand, all of which are cut in half giving a flat side and a curved side to each bristle, even application of product is guaranteed. Let me start by saying, I do like this mascara. I have hooded eyes, and my lashes need volume and length to make any kind of impact on my face, and I feel like I definitely get this from Bad Gal Bang! My lashes are opened out, separated and lengthened with just one coat, and I love the final look I can achieve. One coat of this is great for daytime, any more and it gets a little heavy for my personal taste. For nighttime, I'd be happy with a few coats, as you then start to achieve quite spiky, spidery lashes which always look good for a night out or when you really want the eyes to do the talking. However you do have to be careful that it doesn't get too clumpy when applying extra coats... I am wearing two layers in the above photos, and I think you can see that any more would potentially get messy and it did start to feel a little heavy on my eyes after a few hours wear, I think any more would be too much and could maybe weigh my lashes down. I love how it applies to the lashes, and I think the brush is great... 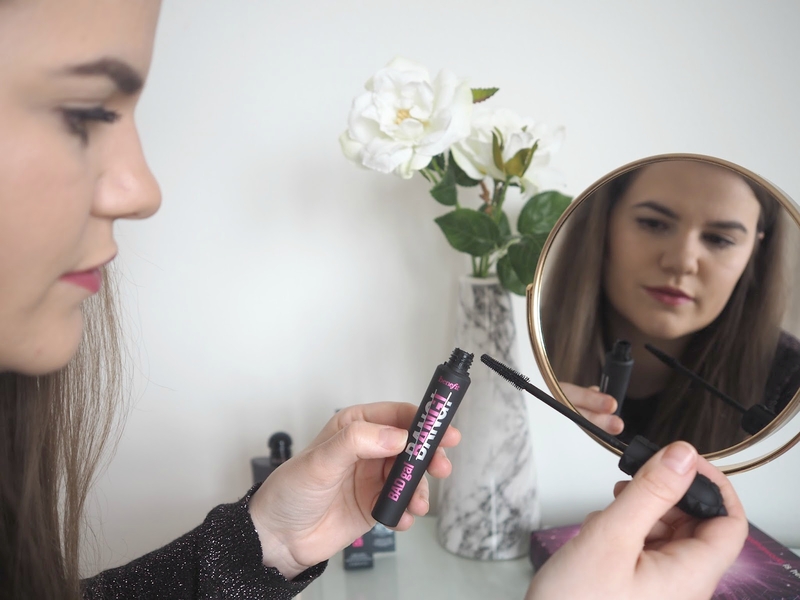 It bends a bit which can take some getting used to, but personally I like that as it allows me to reach for all of the little lashes and shape them as I apply my mascara. The formula isn't too wet, so there's little or no smudging onto the eye lids, which is something I get a lot, thanks to the shape of my eyes... This product is definitely a friend to us with hooded eyes! As I have only been using this for four days, please bear in mind that this is completely based on first impressions and only from four days use. I may change my mind for better or for worse, but for now I would settle on saying it's a decent mascara. If you're about to run out and need a new one, give it a go. I'm not too fussed on the packaging, it's a bit young, I prefer something sleeker, but that's never really an issue, and it fits well for Benefit's target audience. I was kindly sent the mascara for review purposes, but as always, I'm completely honest with my views and opinions. So, it's worth the hype?